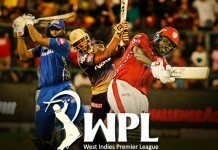 KXIP Lower Order Batsmen Falter In Chasing Down A Stiff Target Against MI…!! Parthiv Patel shone with a breezy 58-ball 81 and powered Mumbai Indians to a 25-run win over Kings XI Punjab whose campaign turned from bad to worse in the Indian Premier League cricket tournament. Chasing a stiff target of 190, Kings XI Punjab were restricted to 164 for seven in the stipulated 20 overs. This was Mumbai Indians’ third win in seven outings, while the Punjab franchise suffered its fifth defeat in six appearances. For Kings XI Punjab, Glenn Maxwell finally found form as he top-scored with 56 off 39 balls, hitting five boundaries and a six. Shaun Marsh made 45 off 34 balls with the help of three fours and a six. Jasprit Bumrah was the pick of MI bowlers, returning impressive figures of 3 for 26. Batting second, the hosts lost openers Murali Vijay (19) and Manan Vohra (7) cheaply with just 32 runs on the board in five overs. Marsh and Maxwell then got together and rebuilt the innings by playing sensibly. In the halfway stage of the innings, Kings XI Punjab were 75 for the loss of two wickets, still needing 115 runs from 10 overs. The home side reached the 100 in the 13th over and, after Maxwell hit his fifth boundary, Marsh broke the shackles with a six over long-on off Harbhajan Singh. In the next over, Maxwell sent the ball soaring over in the same direction for similar result, the bowler being Tim Southee. However, Punjab were dealt a blow at a crucial juncture as Marsh fell in the same over to bring to an end a partnership of 89 runs for the third wicket.Soon after, Maxwell cruised to his half century in 33 balls. But Maxwell too got out after a while and the asking rate just kept heading north, even as KXIP skipper David Miller remained not out on 30 off 17 balls.On the other side wickets kept on falling through Burah and Mclenaghan which made Mumbai Victory Simple. The Ever Charming Ravish Kumar Wins ‘Jounalist of the Year’! !